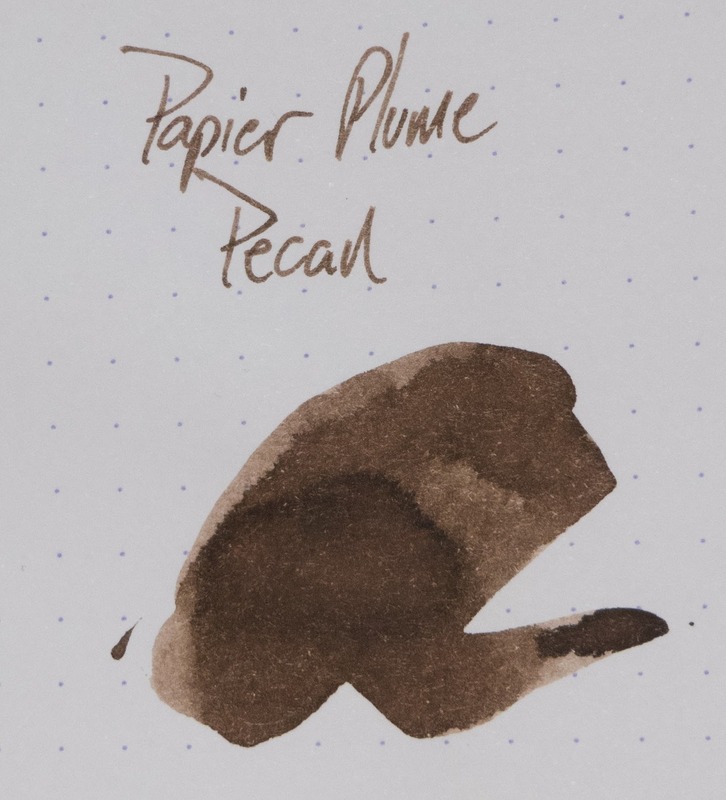 Papier Plume Pecan | Inkdependence! 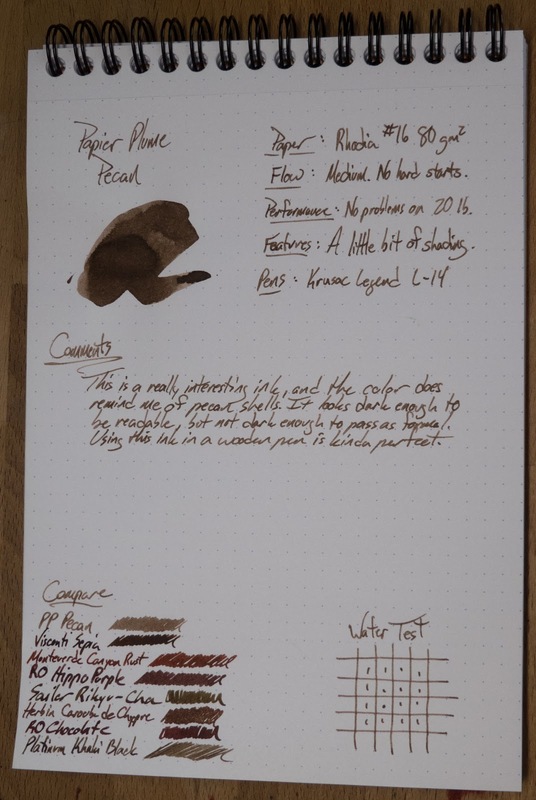 Ink sample provided for review by Anderson Pens. Thanks, Anderson Pens! 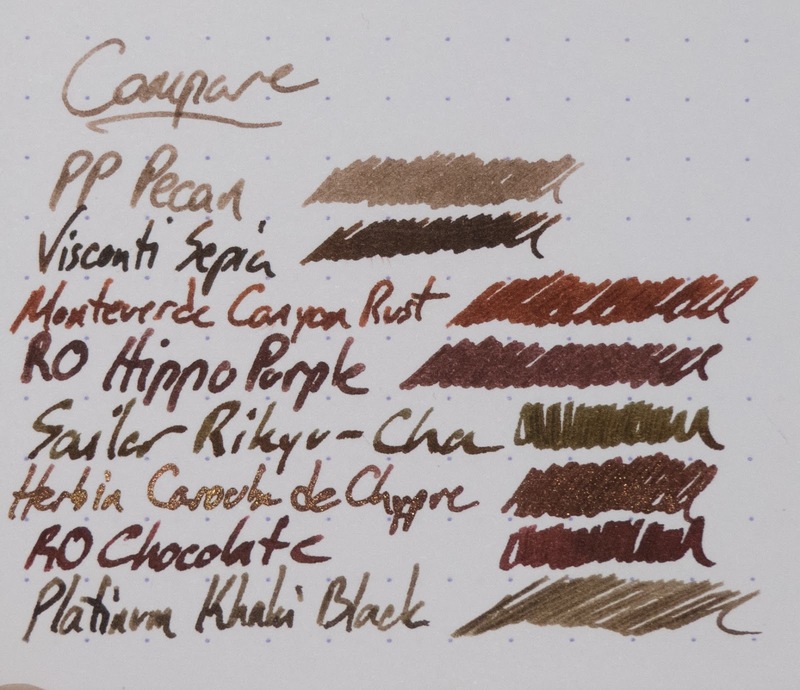 I'm really into brown inks, and there are more of them now than ever. I hope the color is catching on, as there is so much room in the color-space for lots of different browns. In looking through my other inks for similar colors, I didn't really find anything that was very close to this one. If you know pecans, you'll see lots of the hues that you find in a pecan shell. 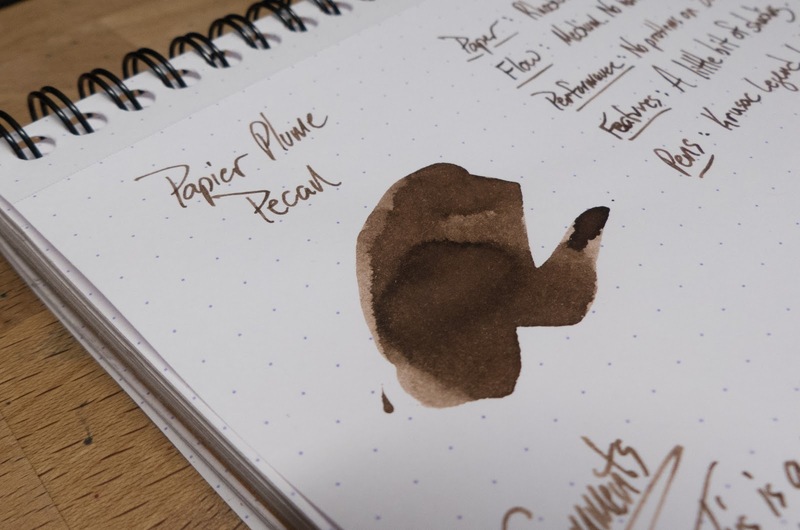 As a native Texan, this ink reminds me of the pecans that we used to get from the trees in our back yard. Well done, Papier Plume! There are a few little spots of bleed through, but nothing serious. Man. 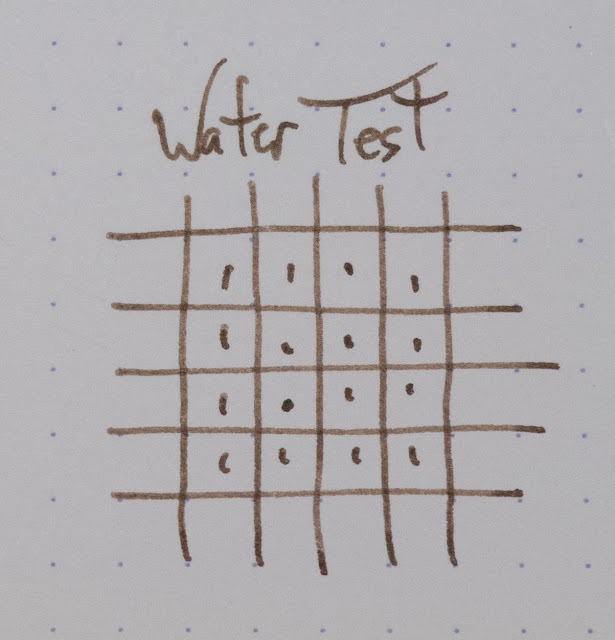 This ink looks good in a close-up. Should you get this ink? 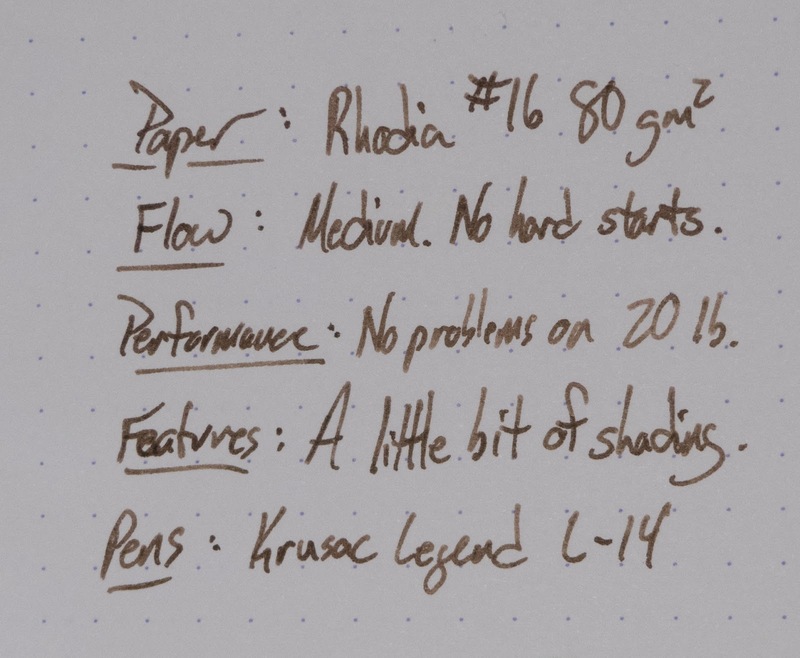 If you're a fan of brown inks, then you totally should. It's an awesome shade with good flow and good performance. You can find it in bottles and samples at Anderson Pens and in bottles directly from Papier Plume. It looked nice, so I included it. Hi Mike! Thanks so much for this review. 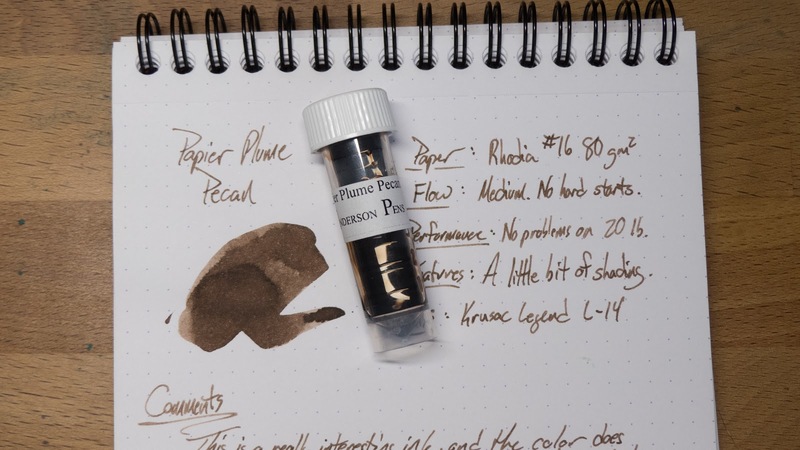 I was looking for a good brown ink and I ordered a bottle of PP Pecan after reading your review. After using it, I love it - it's exactly what I was looking for. 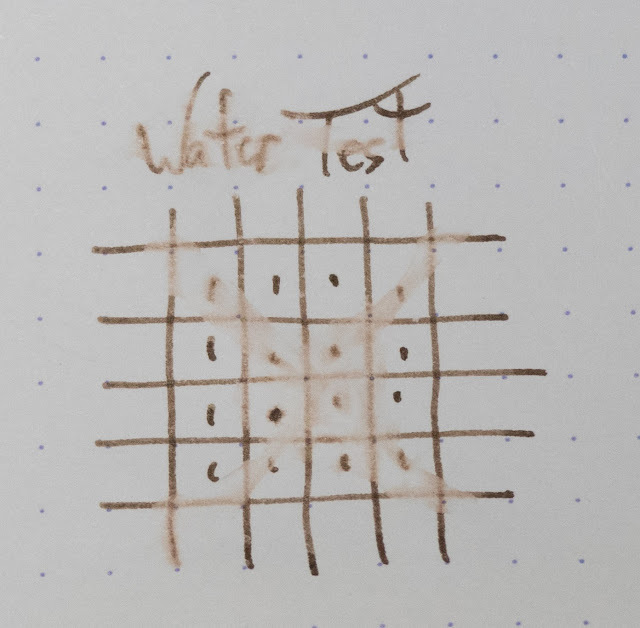 I wanted something that was a little lighter and less saturated than most other recommended browns (for journaling, so that it would fit with an aged or timeworn vibe). Performs very well and a nice price at Anderson. Your post was invaluable to me!